Wilson encloses a donation and requests a subscription to the Highlander. 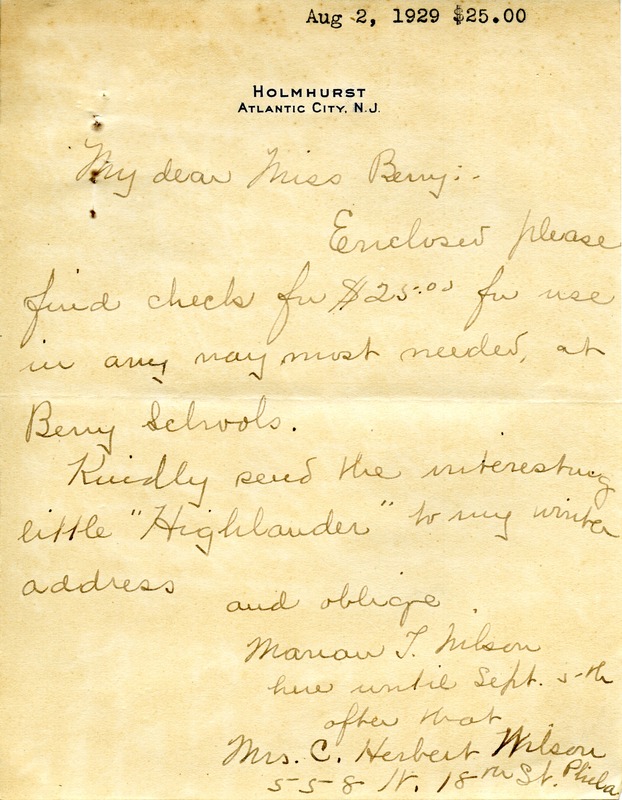 Marian T. Wilson, “Letter to Martha Berry from Marian T. Wilson.” Martha Berry Digital Archive. Eds. Schlitz, Stephanie A., Sherre Harrington, Meg Ratliff, et al. Mount Berry: Berry College, 2013. accessed April 20, 2019, https://mbda.berry.edu/items/show/11389.